Our benign climate welcomes yet another uninvited transplant to the region. 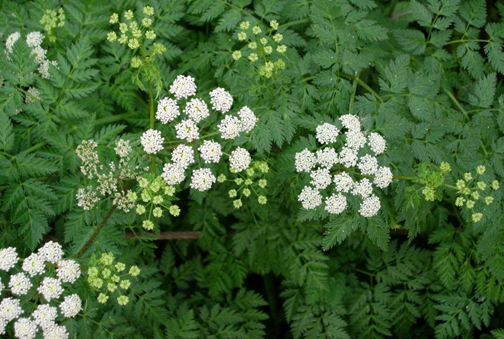 Poison hemlock joins hundreds of other invasive plant species that make themselves at home here. Like some of those other plants, it contains toxins. Unlike most of them, it resembles a common cooking herb, and can be easily mistaken and ingested as such. Native to Europe, poison hemlock gained lasting notoriety 2,413 years ago as the poison used to kill Greek philosopher Socrates. In 2002, two people went into respiratory arrest and were hospitalised after eating parts of the plant. 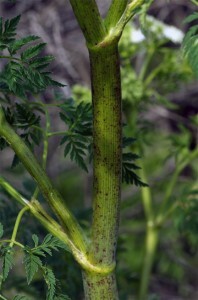 Poison hemlock is to be handled with care and gloves. Consider the precautions part of the evolutionary arms race between plants and animals…. Read the rest of this editorial at the Victoria Times Colonist….